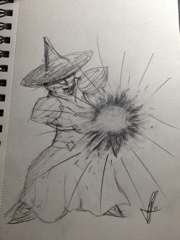 Erik James Design: Bonus Illustration Post: Wizard or witch? You decide. Bonus Illustration Post: Wizard or witch? You decide.